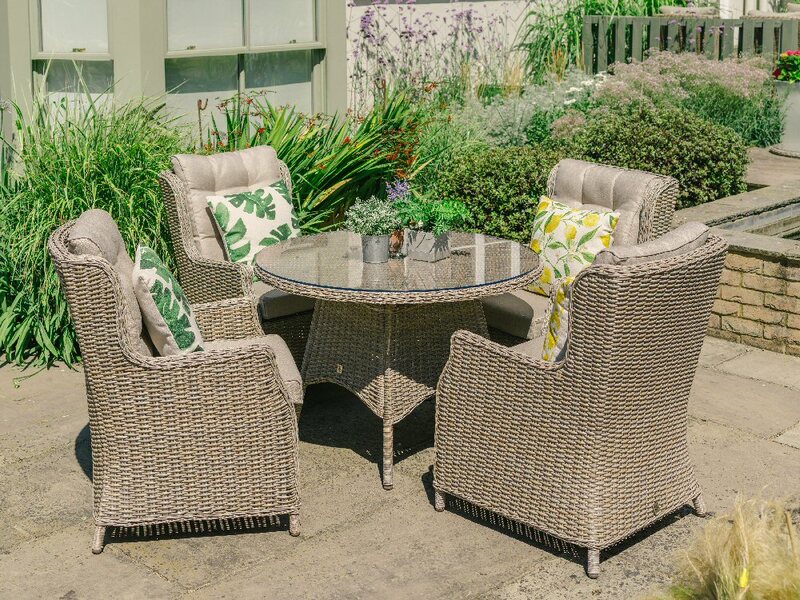 Toulon 4 Seater Highback Dining Set with Parasol. Flared back design for extra comfort. 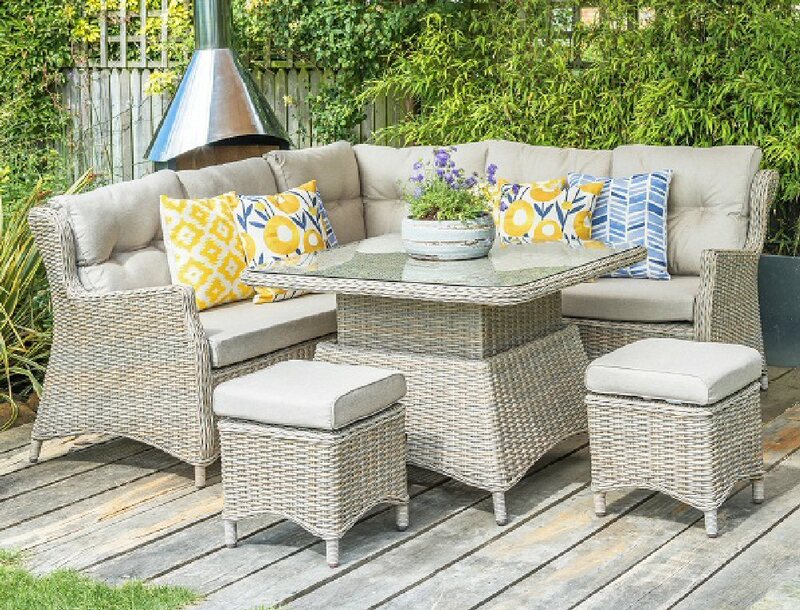 Set consists of 4 Toulon Highback dining chairs,one 110cms dining table,one 15kg Parasol base and one 2.5m Horizon Parasol Colour Taupe.